Picturing Disney: Passporter Walt Disney World 2014 Review (x3)! 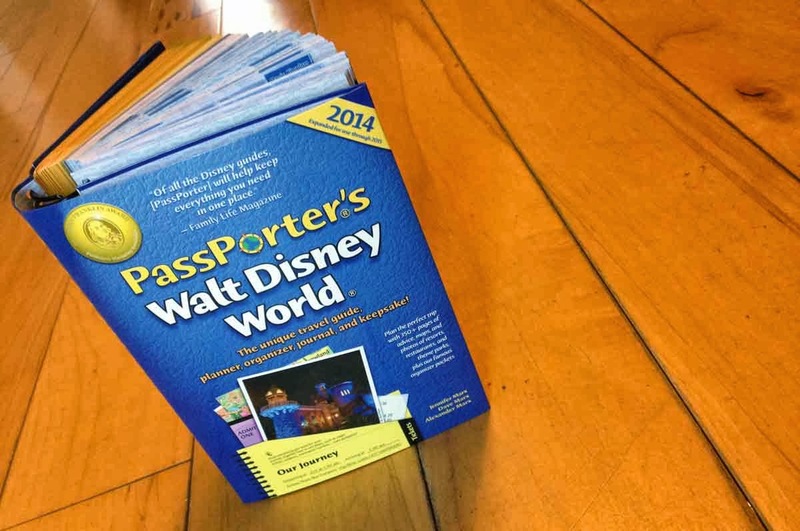 Passporter was awesome enough to send copies of the 2014 Passporter Walt Disney World for us to review! Check out the reviews below from my girls (then go order yourself a Passporter for your next trip)! 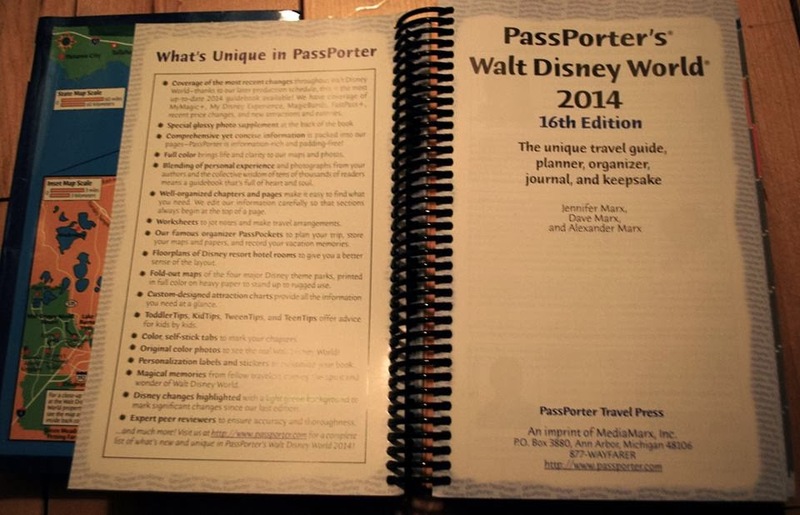 I love the new PassPorter’s Walt Disney World 2014, 16th Edition travel guide. This is not just a book it is an all-in-one, travel guide, dinner guide, day guide, night guide, what-tour-to-take guide, budget planner, resort description guide, journal and more. It includes the most up-to-date information on all things Disney World and there is a place for important phone numbers and pockets for important things to carry each day. Want a good tip? 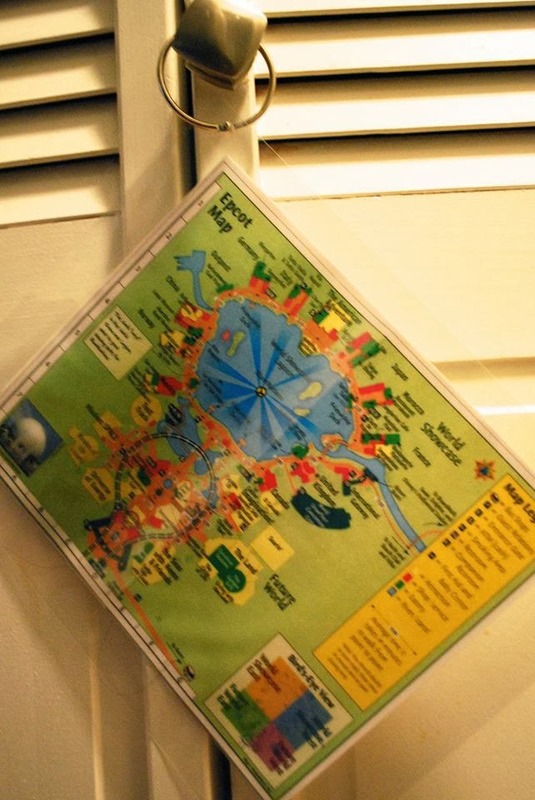 Color copy their maps (which are easy to read and the newest available) laminate them, punch a hole in the corner, put a binder ring through it and hang them from your stroller or back pack. You will have a perfect, wrinkle-free map and it will be waterproof for those inevitable Disney afternoon showers! You can also do it for any of the great information pages you want to have handy. If you want to plan a Disney World vacation and be ahead of the game you have to get this book/planner! The PassPorter’s Walt Disney World 2014 is absolutely amazing. When I heard we would be reviewing their guide, I must admit I was a bit skeptic. I had read other “guides” from national companies, bloggers, and the like. Their hardbound guides always seemed to be overwhelming and boring. Almost like your least favorite text book in school. However, when I received the guide in the mail I was pleasantly surprised. PassPorter’s guide leads you through the logical journey of planning your trip to Walt Disney World. They even offer money saving tips that I did not even know about. 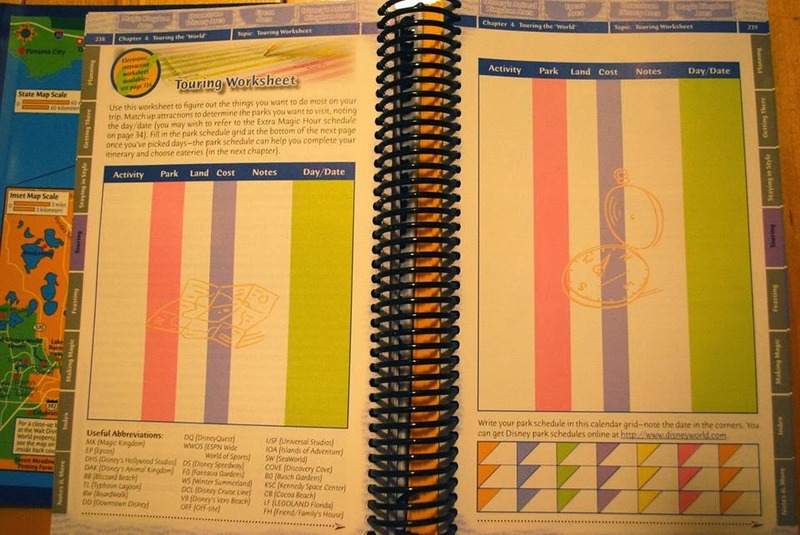 The colors pop off the page and draw readers in to their extremely informative tool. What is not to love about a visual aids that depict several charts and tables about the best time to visit the parks during the year, dining reviews, and tips on emergency situations that could happen in the park? I would definitely recommend this tool to any Disney vacationer. Even the most seasoned Walt Disney World Guest could learn a thing or two from PassPorter’s Walt Disney World 2014 Guide. Let me preface this by saying PassPorter itself holds a special place in my heart. I wouldn't have met many of the special people in my life or be doing what I'm doing (working as a Disney Travel Agent) if it wasn't for this. I first joined the Message Boards in 2007 and the rest, as they say, is history. After over 20 trips to WDW it's safe to say I no longer need a guidebook. PassPorter, however, is a great book for both newbies and vets alike! It's very well laid out and detailed without being lengthy. I love the "Staying in Style" section. It lists what they think are the best areas of each resort which is nice. The floor plans of the different rooms are also very helpful. The numerical rating system of the restaurants is great as well. Again, very detailed, showing the type of restaurant, price points, etc. What most people love about these guidebooks are the "PassPockets" in the back. This helps keep you completely organized! You can record all of the info you need here including all of your confirmation numbers. There is also a place to record the details of the trip which is nice! This way you can go back year after year and remember everything down to the weather! PassPorter definitely gets two thumbs up from me! !